My name is Ikuru which means ‘happy one’ but my life did not begin that way. As a baby I saw my mother killed and was then confiscated by a solider who found me. 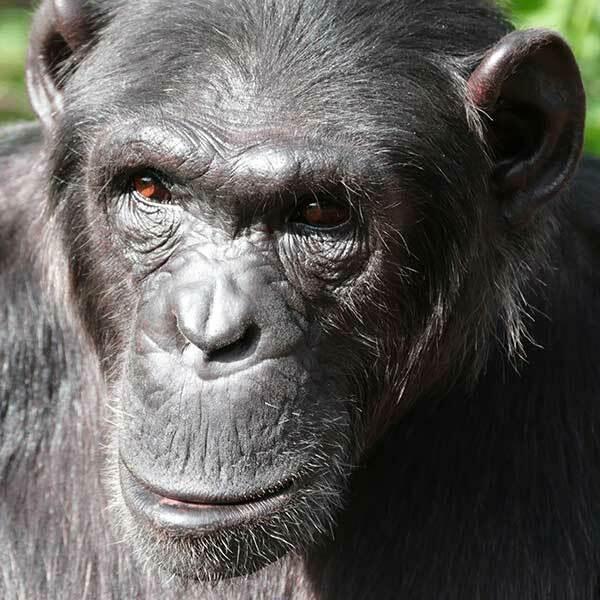 He tried to keep me as a pet but the Uganda Wildlife Authority rescued me and I arrived at Ngamba in 1999. I was very sick and distressed but they nursed me back to health and now I am happy and thriving. I love to play with the younger chimps and am obsessed with grooming, earning the nickname ‘the stylist’.